There is a variety of beaches and coves with crystal clear waters. 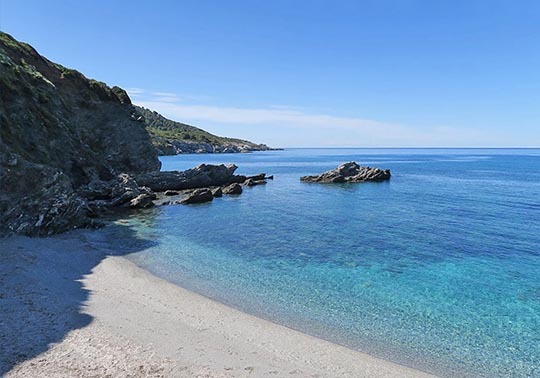 Sandy or shingle, secluded or much frequented, for nudists or not, with waterside traditional taverns or canteens, for snorkeling, underwater fishing or just swimming, with sun beds, umbrellas and sea sports, or just the sun and you. Some are easily reached by buses and taxis, others by private vehicles (cars and mopeds), and these -inaccessible to cars- are reached by boats, caiques or on foot. 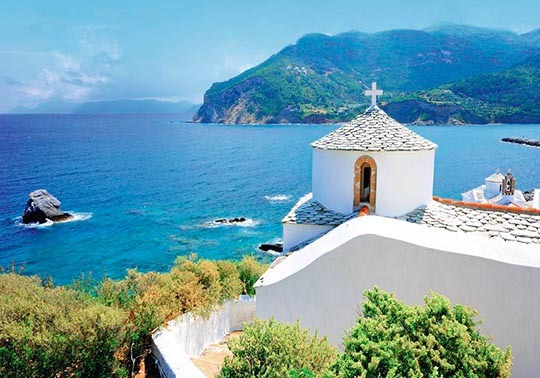 Travelling around the island of Skopelos is a joy for the visitor, an oasis for the person looking for beauty in his every step. History is alive and celebrating today, and this marriage makes the island something more than a simple tourist destination. 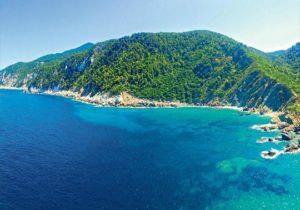 Ever-green on a blue background, Skopelos impresses its visitors with the richness of its nature. There are pine trees in every single remote corner. Even the lonely rocks in the sea host some tree or bush on their small surface. 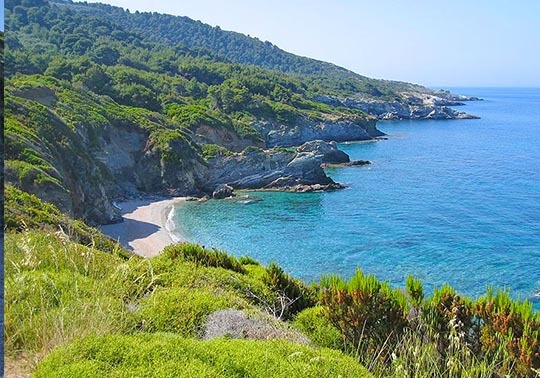 Skopelos mountains, with their many sources and pines are one more jewel of the island, as well as its picturesque gulfs, wonderful beaches and unique landscapes.